Our LA Bass Guitar + 35W Amp Pack features the classic LA Bass Guitar by Gear4music in a sunburst finish, that offers a paulownia wood body, smooth maple neck and punchy tone. 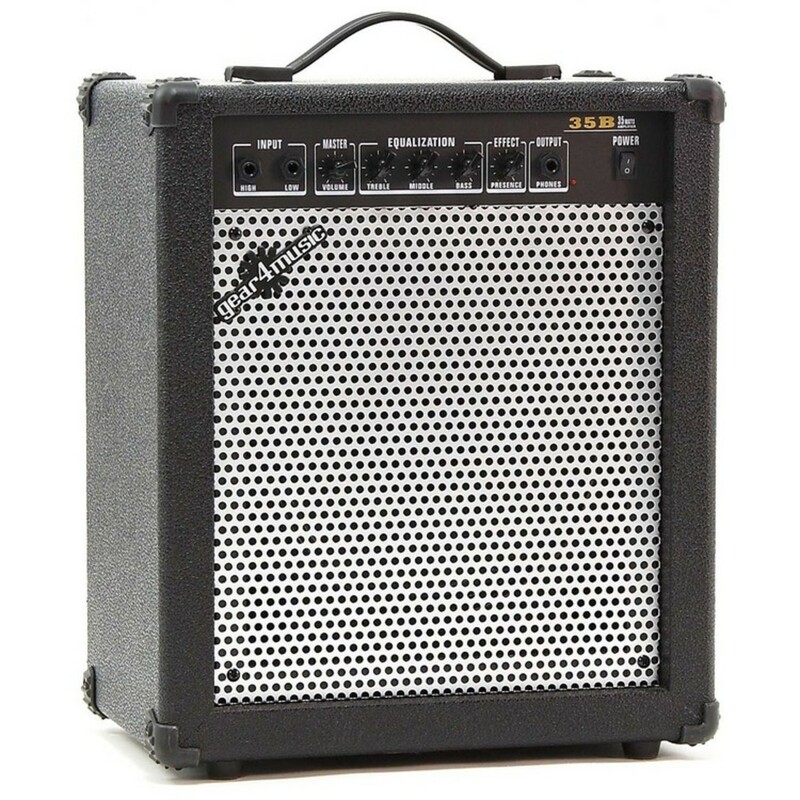 Also including the powerful 35W Bass Amplifier by Gear4music, a guitar lead, fitted padded bass guitar bag, guitar strap, spare bass guitar strings, chromatic digital tuner and much more, this bass guitar package is both comprehensive and versatile, making it ideal for gigging and band rehearsals. This pack was awarded 4 out of 5 by Music Radar in a review of the LA Bass Guitar & Amp Pack.